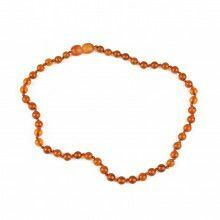 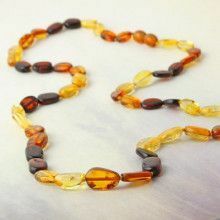 This majestic natural amber necklace consists of an elaborate assortment of different colors, sizes, and shapes of semi-polished, luminous, amber stones. 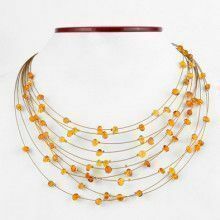 The necklace is accented by sterling .925 silver and a brown leather cord. 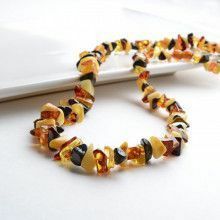 When you wear this piece of jewelry, it's sure to enhance any outfit.